The International Service for Remunerations and Pensions (ISRP) is responsible for the management and review of all matters pertaining to the remuneration of staff and the Pension Scheme common to the Co-ordinated Organisations. These topics are also managed and monitored for those international organisations who call upon the competencies of the ISRP in the field of remuneration and pension policy, financial engineering and actuarial studies, as well as legal advice and statistics. 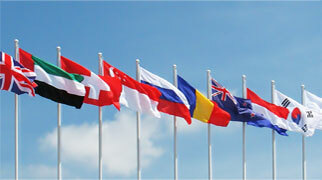 The ISRP provides its extensive expertise to more than 40 international organisations.